Heat oven to 275°F – 135°C. Wash the kale and dry thoroughly. Cut out and discard stems and center ribs from kale. Place in a large bowl, tearing any large leaves into smaller pieces. Melt coconut oil and add salt and black pepper, mix together. 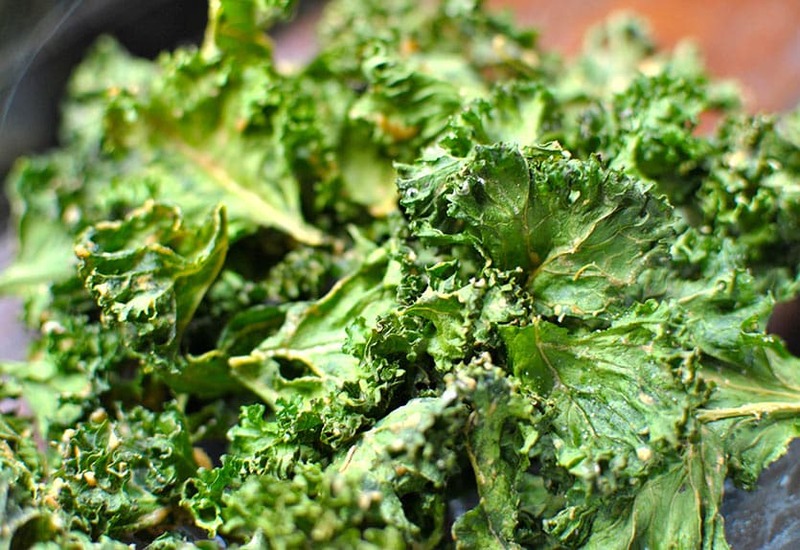 Drizzle the mixture over kale and massage it into leaves, to make sure they are well coated. Divide into two batches. Spread leaves in a single layer on lined sheet pans and bake, switching positions of sheets halfway through, until crisp, about 25/35 minutes.